Here’s a quick look at the resources I used to set up this website and manage my freelance writing business. These are all products and services that I use and recommend. Everything from buying my domain names to managing multiple social media accounts. Many of them have FREE options, so you can trial how they fit with your business and then decide if you want to upgrade. I’m always on the lookout for helpful tools and resources, especially freebies. Want me to pass on the info? Let me know in the comments below. I used domain names from GoDaddy and Namecheap for my other two websites. Both are easy to use and reliable. This time, I went bought my domain name directly through Hostgator. They host my two other sites, so it made sense to use the one-stop shop. All three companies have regular specials, so check them all out before you decide. Remember, at this stage, you are only buying your domain name. You can host the website anywhere you choose. I switched over to Hostgator when I created my second website. Their “Baby Plan” covers all three sites and has quite a few add-ons included. I pay $9.99 USD/month now I’ve come off the introductory period. They have lots of specials with BIG discounts and FREE add-ons. Customer support has been excellent on the numerous times I’ve had queries. And, trust me. I’ve asked some pretty dumb questions!!! They were very helpful and supportive when I migrated my sites from another hosting platform, despite my previous hosts putting up lots of obstacles. I build all my sites in WordPress.org (Self-hosted). If you can use a word processor, you can use WordPress. There’s a huge range of plug-ins available to help out with enhanced functionality and good support on the WordPress forums. When I chose Hostgator as my hosting platform, they had a one-click install for the latest version. Don’t confuse WordPress.org with the WordPress.com. Both are free. However, with WordPress.com, your site is hosted by WordPress, and there are restrictions on what you can do with your site. For example, you cannot install plug-ins, and you must pay to have third-party advertisements removed. So it might turn out more expensive to get a professional looking site for your business. Here are two articles that explain the difference. Quite a different perspective in each, but you’ll get both sides of the story. Number 1 and Number 2. I purchased the theme for this site from Creative Market. They have a huge range of top quality products to suit all types of business. The process of choosing the theme, purchasing it and delivery was simple, and I get six freebies every month. My theme designer gives great support. I couldn’t be happier with the whole experience. 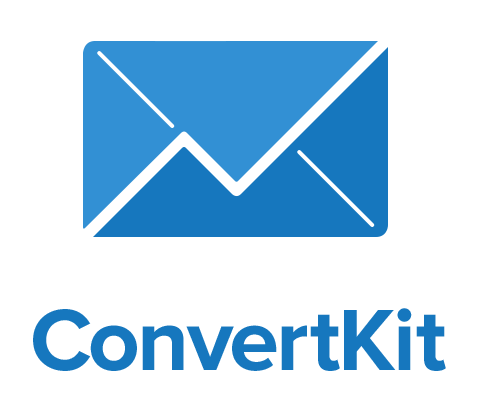 Coordinate all your email addresses in one mailbox and be able to email and respond as the separate identities. As you grow, you can add team members and have them manage your email for you if need be. Create your calendar and task lists. Create, share and collaborate with others on documents, spreadsheets, and slideshows. Back up and store all your information online and be able to access it from all your devices. Manage your Google Adsense account. Take part in Google Hangouts, and more. As you’d expect with Google, there’s good documentation and responsive support. Trello is a FREE online project management tool. It’s easy to use once you’ve got your head around what boards, i.e., Projects you want to manage. I have four at the moment. One each for websites, books, freelancing work and guest posting. I’ve only been using it for a short time, but I can already see it’s got the real potential to improve my productivity. The biggest challenge is co-coordinating the broad overview of my projects with my Google Calendar and task list without creating duplication. What did I ever do without Pocket? I’ve downloaded the Chrome Extension to my computer, tablet, and phone.Now when I find an interesting article, post, video or image on the web I want to view later, I clip it to my Pocket. Once there, the content is visible on any of my devices and can also be accessed off-line. I tag each post, so they stay nice and organized. It has stopped me going down the Google rabbit hole more than once. Optimize Press is pretty incredible value. I can create sales and landing pages, opt-in boxes, a membership portal and use it as a customizable theme. It integrates with all the major email providers and Paypal so you can design complete product launch funnels. The training is comprehensive and straightforward and their support team responsive. You can run it on up to 3 sites for just $97 which compares VERY favorably to its major competitors. 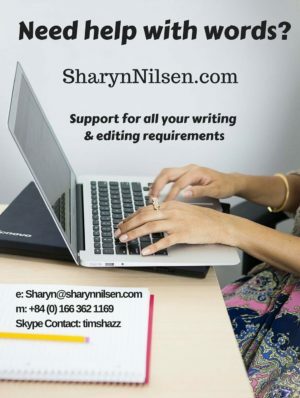 SharynNilsen.com is the third of my sites I use it on. I can’t believe how much the guys from AppSumo give away for free. Their SumoMe plugin gives you access to pop-ups, heat maps, social sharing, content analytics and more. Their Welcome Matt tripled my sign-up rate on another of my websites. Of course, you can upgrade to their premium tools if you want. I just did because I want to install their best-converting app, Click Triggers, on all my sites. (I’ll let you know how that goes in a month or so) They have a useful blog with great tips on growing your list. If you sign up for their newsletter, you’ll have access to hefty discounts and one-off deals on many new and existing apps. – not just theirs. As my list grew, so did my need for an autoresponder series. I originally struggled through MailChimp’s automation. I eventually worked it out, but it wasn’t the easiest of tasks. People were signing up to multiple lists, which increased how much I had to pay and it was a nightmare trying to make sure they didn’t receive duplicate information. Recently I switched over to ConvertKit which solves a lot of those problems. ConvertKit uses a tagging system so my subscribers are only counted once, and it’s easy to plan both broadcasts and sequences to reach my target audience. It’s a new company, and they are improving all the time. Support is responsive, and they openly take on board suggestions for improvements. They’ve definitely won me over. Oh, how I love this tool. Grammarly has saved my bacon more than once. The most helpful features include grammar checking, sentence structure, and vocabulary enhancements, but it has a plagiarism checker too. It also has settings for different styles of writing. You use different language for academic writing to a blog post right? Grammarly helps out with this. It’s not perfect, but it is pretty dang good. You don’t have to accept every suggestion, but at least you get a heads up on areas of concern. There’s a FREE version. However, as a professional writer, I feel the investment in the Pro version is warranted to access the advanced features. The Chrome extension monitors all your online writing, and it integrates with Word and Windows. Yes, I’m using two editors at the moment. 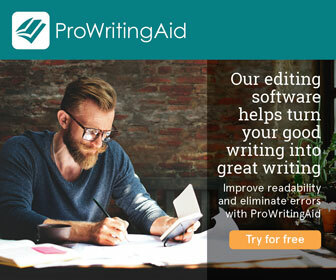 The main reason is that many other writers suggested that ProWriting Aid was helpful to their editing process. My Grammarly Pro subscription is coming up for renewal, so I thought it the perfect opportunity to see what else is on the market. One of the big things in Pro Writing Aid‘s favour is that it integrates with both Scrivener and Google Docs, as well as Word, WordPress, and Chrome. As I increase how much I write in both those programs, it’s becoming annoying having to cut and paste all the time for Grammarly. 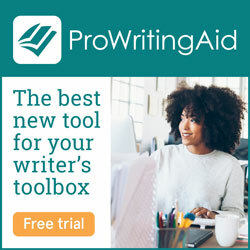 The Pro Writing Aid Editing Tool has a free version, so it makes sense to check it out and compare. I’ve been using Scrivener for six months now and I L.O.V.E. it! I’m a mind-mapper by nature, and Scrivener is the perfect tool to turn those messy diagrams into a logical outline for a book or blog post. When I wrote my first book in Word, the formatting for Kindle Self Publishing was a freakin nightmare. Scrivener takes care of all of that with the press of a button. Needless to say, I’m using it to write my latest books. I haven’t worked out all the things it does, but it’s super simple to get started. At just $40 for the whole kit and caboodle, it could be the best money you spend on your writing ambitions ever. I’ve been using the FREE version of Hootsuite for a while now because it makes managing multiple social media accounts a lot easier. With the addition of a third website and associated social media accounts, I’ve gone to the Pro version. Honestly, for less than $10/month, it’s a bargain. I can have up to 50 social profiles (shoot me now! ), meaning I can customize my messages for each audience. It also gives me access to their premium apps which will also make life easier. As the team expands, I can add them one at a time which will help keep the budget under control. The FREE version is perfectly adequate for a one-man band with only a few social media channels. But since they’ve got a 30-day FREE trial for the Pro version, you can try out all the bells and whistles and then drop back if you don’t think you need them. My latest very cool tool. I got a lifetime deal with the AppSumo guys and I love it. 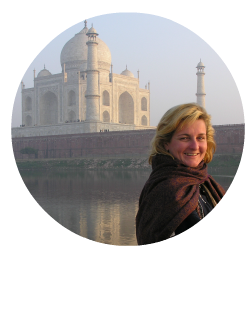 So easy to create graphics for FB posts, Blog posts, Ebook covers and more. They have well over 1 million background images, 650+ templates, 100 thousand quotes and so much more. Creating incredible images is super easy. They have a FREE option if you only need to create a few images per month. Take a look at what you can do with it HERE. Canva is a FREE tool, loaded with easy-to-use features and functionality that anyone, even the “creatively challenged” like me, can use. They provide hundreds of free templates, fonts, and images, and can to buy premium products for just $1. It’s so easy to design engaging content, beautiful images, and stunning graphics to complement your writing and encourage sharing. Unsplash is loaded with gorgeous, high-resolution photo and they’re ALL free. Every photo comes with a “do whatever you want” license. You may even use them for commercial purposes without attribution. Of course, it’s always nice to give attribution to these very generous creatives. The site is updated with 10 new photos every 10 days, so there’s always new content to peruse. Visual Hunt has over 350 million Creative Commons photos. Many require attribution, but I don’t have a problem with that, considering I’m getting some beautiful images for free. Another collection of beautiful images that are FREE even for commercial use. Some stunning retro effects, backgrounds, and patterns. They have categories such as business, food and drink, outdoors and transport, to name a few. This neat little tool allows you to reverse engineer Amazon data to find Kindle niches where you have a greater chance of making money. (Provided you write a decent book that is!) There’s no point writing something no-one wants to read. Right? It’s simple to use, and there are regular updates to keep pace with changes on Amazon. In the spirit of full disclosure, some of the links on this page are from my affiliate partners. That means that I may earn a small commission if you use the links and make a purchase. But, I only recommend products & systems that I use and love myself, so I know you’ll be in good hands. And most importantly, it won’t cost you any more than if you found them yourself.